we can pour into concrete, we can help you. 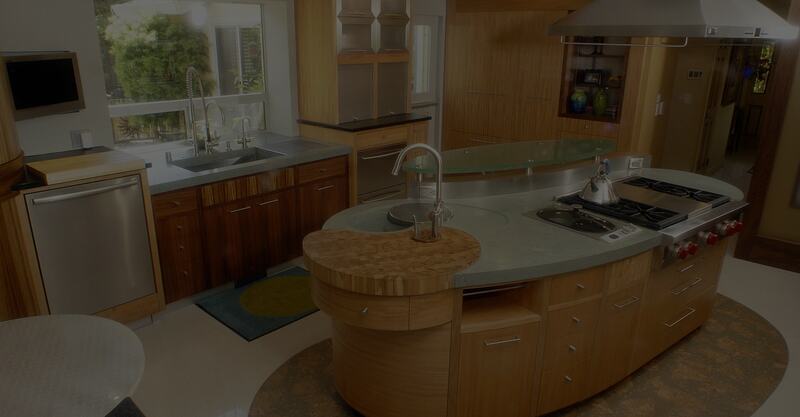 Concrete Concepts & Design has a portfolio that includes commissions from architects and designers for residential and commercial projects around the world from concrete countertops, sinks, fireplace surrounds, planters, tiles and much more. 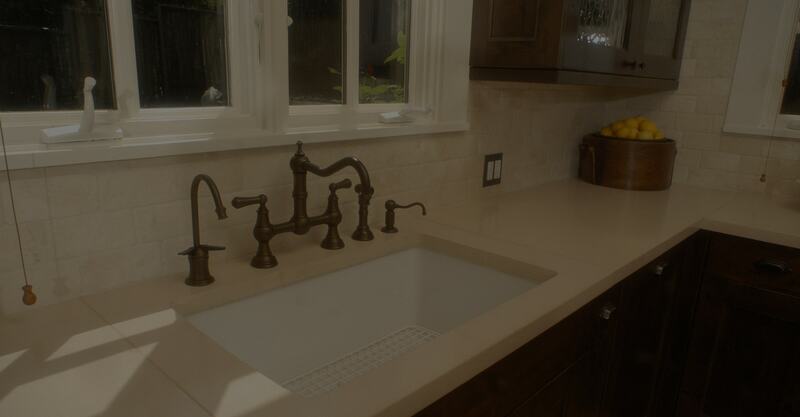 Our product is entirely handmade and has the look and feel of natural stone. We are so passionate about what we do and spend so much time on every piece we create, allowing us to recall many details about each piece of art we have created. One of the easier ways to get creative, concrete vanities and sinks can create a statement for an entire bathroom and kitchen. 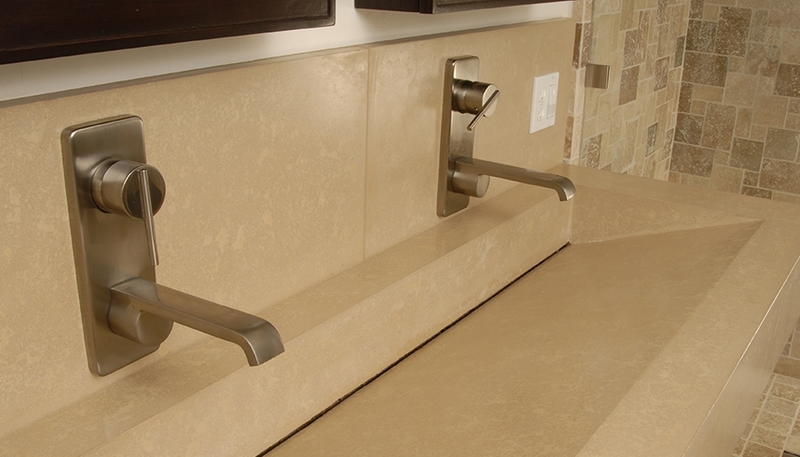 Concrete sinks can be formed into virtually any shape, as long as they will drain water. 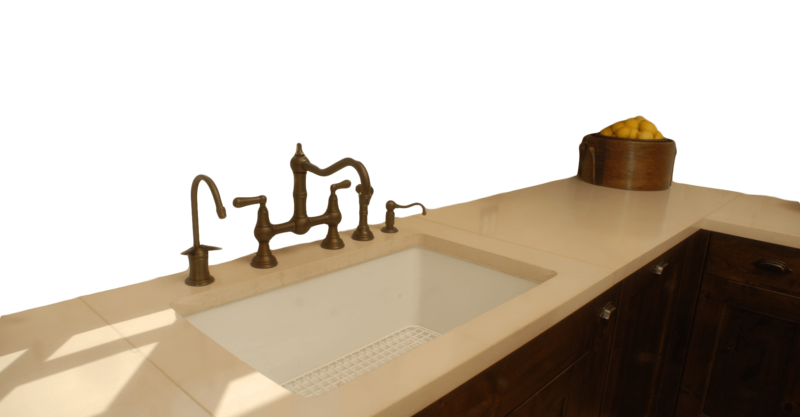 There are many wild ‘standard’ vanity sink molds and we provide custom sinks, made specifically for you. You read that right! We can create concrete tables, concrete chairs, concrete fire pits, concrete water features and more. 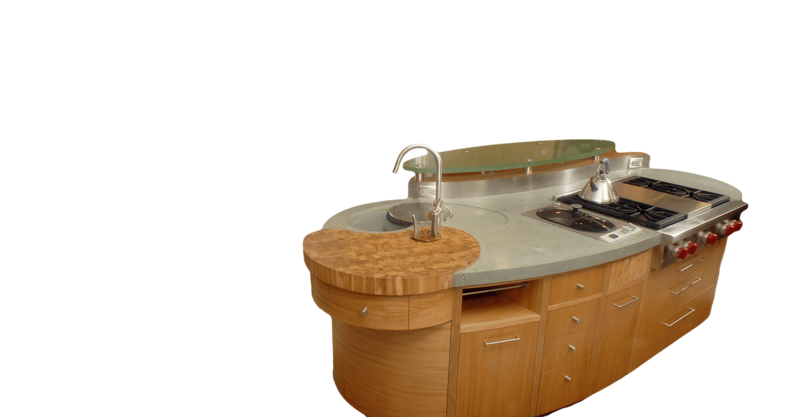 Also you can have a unique kitchen countertop that will be the envy of your friends. 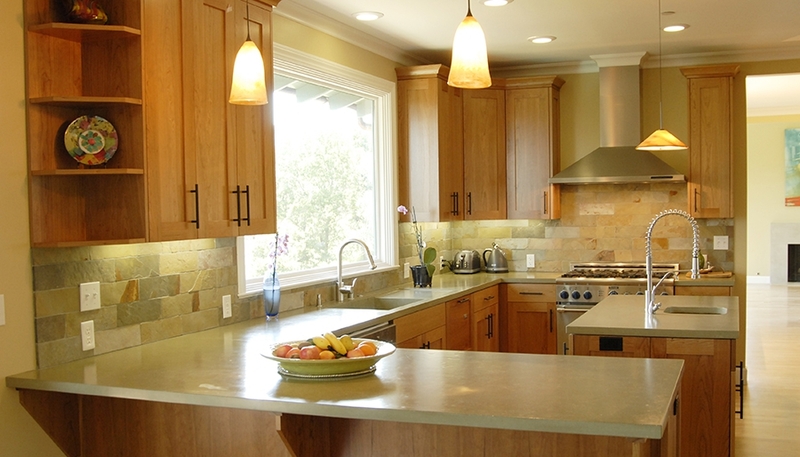 Come to our showroom and customize your countertops from color all the way to edges. On top of our precast concrete offerings, we can also turn existing concrete into beautiful, tough and clean floors or beautify and fix issues on patios, fireplace surrounds, planters, tiles and much more. 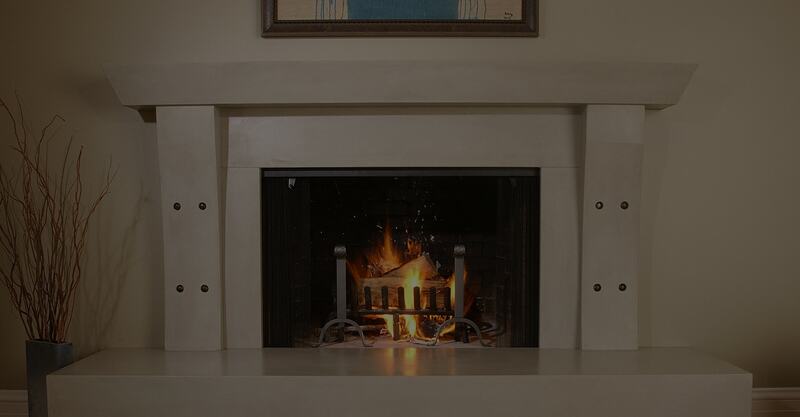 Our product is entirely handmade and has the look and feel of natural stone. We offer the best customer service in the industry along with premium quality. Our employees are involved in all phases of operations from design to installation. 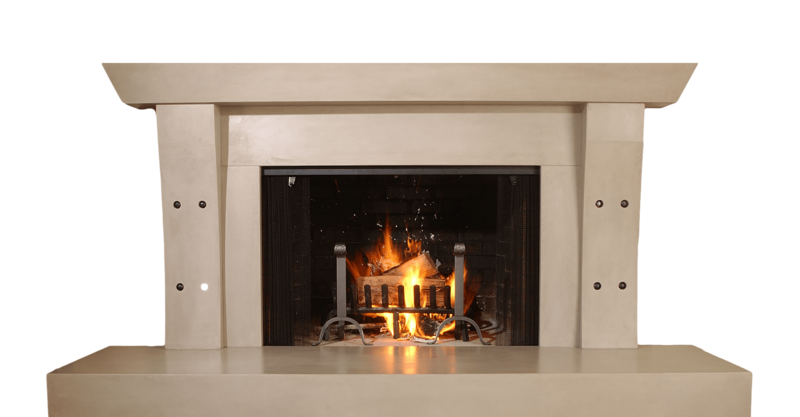 We specialize in creating custom decorative precast concrete for our clients, such as concrete countertops, concrete vanities and sinks, concrete firepits, concrete furniture, etc. We specialize in creating custom decorative precast concrete for commercial projects, such as concrete countertops, concrete furniture, concrete decorations, etc. 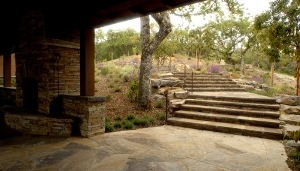 Concrete Concepts & Design has a portfolio that includes commissions from architects and designers for residential and commercial projects around the world.